Do you write in a journal? Or keep a diary? 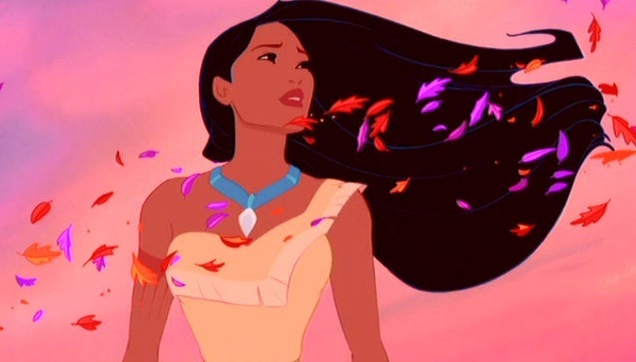 I remember when I was four years old, I had a Pocahontas journal that was given to me on my birthday – blank pages and everything, but the cover had stylized leaves like the ones in the “Colors of the Wind” scene of the movie. I didn’t even know how to write letters yet, so I would just scribble shapes and squiggles in the lines with a pen. Last time I visited my ma (Fall 2016), I found a storage bin filled with all of my old journals from 1996-2000. (She’s also doing some spring cleaning around the home, by the way, getting things together for a balikbayan box to send to our family in the Philippines.) Flipping through my journals, I noticed there was nothing fancy about them – they were all just standard notebooks, mostly spiral bound – that could be disguised within my stack of school books and assignments on the day to day. I had just covered the stock logos with some paper so I could customize/doodle on the front. I noticed I wrote everything down – lists of favorite colors, new music I’d heard, feelings about my parents’ divorce to crushes at school. There were doodles and wishes and even some attempts at poems. I wondered why after 2000, there weren’t any more stacks of journals to comb through – and I realized that’s around the time middle school started for me and I moved from California to North Carolina. It was around this time that one of my coping mechanisms in feeling like the misfit during this time in my life was to bury my head in school and studying. I think I stopped writing in journals because I started keeping planners and agendas organized instead. Plus I would spend more time on AIM and MSN messenger than actually handwriting things in a journal. I was all up in that Xanga and LiveJournal scene until Myspace became mainstream and Facebook became an expected part of socializing. Even calendars and planners went digital for me – just inputting everything into my cell phone. The vessels and mediums evolved with the times, but I continued to write. Middle school turned into high school and high school turned into college and college turned into career-building. Reflecting on these years, I feel like I had zero time to really write creatively – or at least I didn’t manage my time well enough to do any kind of writing beyond what I needed to for school and assignments. After recently visiting my ma and going through those old journals, I became inspired to get back to physically writing again – not just on my website or for theGIRLMOB, but actually writing raw thoughts on paper: being more intentional about writing things down. Nowadays I keep a journal in my purse, in a basket next to my couch, in a drawer by my bed, and a physical calendar/planner on me at all times. The accessibility of everything within arm’s reach ensures I can truly maximize a writing moment whenever the feeling strikes. Since then, I’ve noticed my time management skills have started to improve, my anxiety levels starting to calm down, and discovering pieces of my mental health starting to nourish themselves – like watering my roots. For Lit Lit articles, I usually like sharing with y’all a roundup of different books amplifying TGM’s monthly theme. I will always be a supporter of reading and getting your mind sharpened with intellectual tools. However, it’s also important to do some spring cleaning for the mind, too! Writing things down – to do lists, dates and appointments, goals, quotes, plans and ideas – frees up the space in my brain for more. I hope everyone can discover vessels and mediums that cleanse the mind. This month, I’m excited to share a different spin on the books and readables for Lit Lit. Here are some blank pages and tips for you to declutter your brain + nourish your mental health. If you’re someone who likes to keep your pockets and bags lightweight, here are some mobile friendly digital journaling methods. Don't got the $$ for these? My tip for those ballin’ on a budget: print out these FREE PDFs by Day Designer, and DIY them into a binder or staple them together.